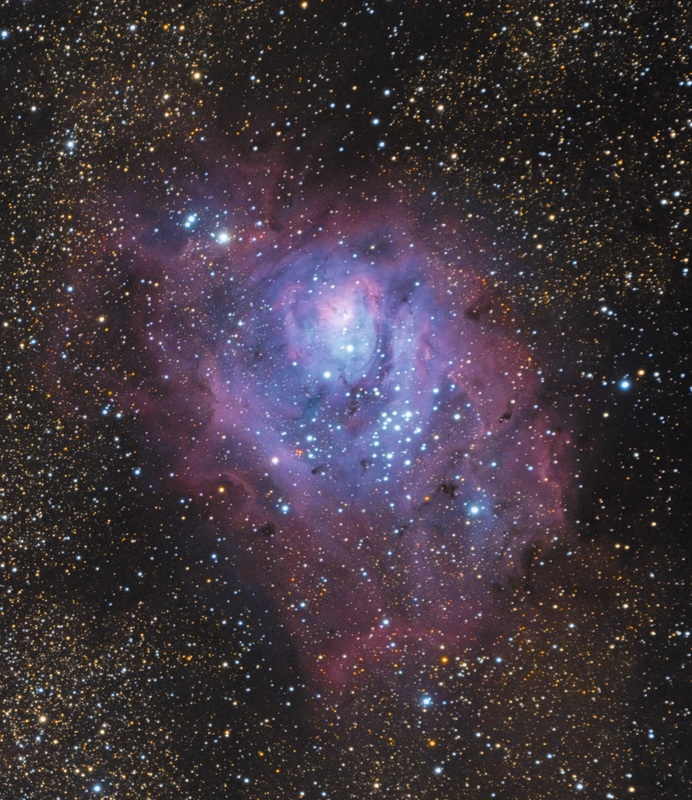 The Lagoon Nebula is one of the brightest HII regions visible in our skies. This interstellar cloud of gas in the constellation Sagittarius is home to multitudes of newly created stars. This image is part of my “Lagoon of Stars” data set that I took back in June. I cannot look at this enough! Thank you!